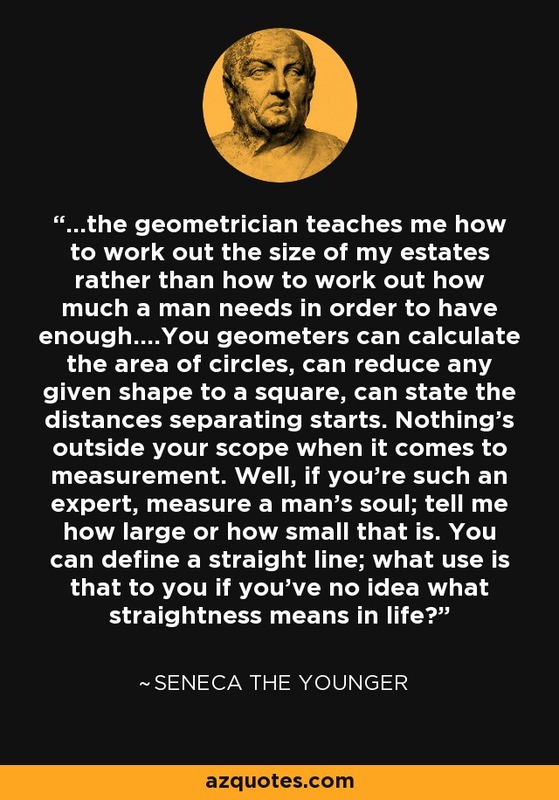 ...the geometrician teaches me how to work out the size of my estates rather than how to work out how much a man needs in order to have enough....You geometers can calculate the area of circles, can reduce any given shape to a square, can state the distances separating starts. Nothing's outside your scope when it comes to measurement. Well, if you're such an expert, measure a man's soul; tell me how large or how small that is. You can define a straight line; what use is that to you if you've no idea what straightness means in life?